Guaranteed good time, the upper level is a great place for unique parties or a cozy date. 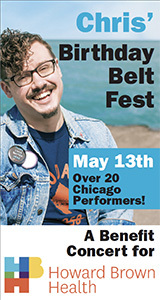 Come for the tasty drinks, stay for the fantastic and outrageous floor show. Male and female Transvestites doing Drag. Technically a Lesbian bar, but the crossroads of Drag Queens and Lesbians makes Seahorse II an absolute DO NOT MISS. ** Windy City Media Group makes no guarantees as to the accuracy or completeness of specials/hours provided via this page. 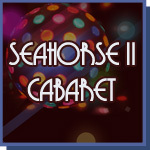 Any specials were provided by Seahorse II Cabaret website or social media page.